Pageants have always carried controversy and criticizm along with the glitz and glamour. It takes a strong woman to manage the process from preliminary selections to representing the country on the international stage of one of the most prestigious pageant in the world. Sporah Njau talks to the Director of Compass Communications Ltd and founder of Miss Universe Tanzania. 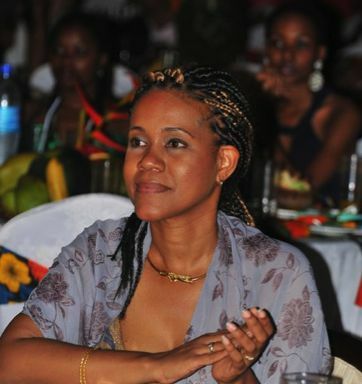 Mentor, sister, friend and role model to many young Tanzanian girls with a dream, Maria Sarungi Tsehai fresh from crowning the Miss Universe Tanzania 2011 winner, opens up about the challenges faced and successes achieved. Sporah:What 3 words describe you. Explain why they describe you? MS: Intelligent, Generous, Witty – These words describe me best because I value very much my own and other people’s mind and I am always look at improving my knowledge. I also believe in the philosophy that giving is better than receiving, in this case I am not necessarily talking about money but knowledge. Sporah: Tell us briefly about Miss Universe Tanzania? MS: Miss Universe Tanzania started in 2007 when we first got the franchise from Miss Universe Organization in New York. It is the national finals for the Miss Universe pageant. Sporah: What do you like most about Miss Universe? MS: I like the fact that Miss Universe is the most prestigious pageant in the world. It also provides opportunities to young girls to showcase their intelligence, beauty and talent and promote their country in a very entertaining way. Even though the winner takes it all, but a good performance can ensure that any other contestant can get a chance to be noticed by modeling agencies, garner media attention and even get a scholarship to the US. It is an important media event as well as over 1 billion people all over the world watch the pageant on television. Sporah: What qualities must Miss Universe have? MS: The winner of the Miss Universe crown has to be a young beautiful woman who can carry out the duties that go with the crown which includes socializing with powerful people, opinion makers, a person who is charming and witty, but also the winner is expected to connect with young girls and carry important messages to them whether it is about HIV/AIDS, breast cancer, etc. Also the winner takes part in fashion shows and has to have a good catwalk. Sporah: What do you find most challenging about your job? MS: Actually my main job is being a television producer, I do not consider being the National Director of Miss Universe Tanzania as my main occupation. However I give Miss Universe Tanzania all the attention that it needs. The challenge that I face is that in Tanzania we still think of pageants as a parade of promiscuous, dumb girls. We may not say it out loud but that is what we think. And this is not true. The girls today are smarter and more ambitious and beauty pageants are more than a parade. The real work starts after the competition ends. The titleholders are intelligent caring people who give back a lot to the society. Sporah: Do you honestly think that Tanzania will ever have any control over the achievement of beauty pageants! why? MS: I think the question in itself is based on the wrong premise. Why do we want to ‘control’ achievements? We have to work for them. And if it is about achievements, Tanzania has made its mark with the likes of Flaviana Matata and Miriam Odemba, but also with girls who may not have placed but garnered media attention like Hellen Dausen, Illuminata James in Miss Universe, Rehema Sudi and Richa Adhia in Miss Earth. I think what we truly lack is the support that other countries get from their governments and national media. This is not only financial support but moral support. I am happy that the media in Tanzania has started providing us with more support and I hope to eventually see the government on board as well. For example, wherever the pageant is held like this year in Brazil, the Tanzanian embassy in the country should provide full support for the titleholder and the pageant, because the titleholder will be our Beauty Ambassador in a very important and large media event. As I said I hope this year the government will be able to see the importance of this. Sporah: What would you like to see more in beauty pageants in Tanzania? and why? MS: I would like to see and achieve more preparations for the girls, in this case I am not talking about preparation of the winner but also preparation before they compete in the national pageant. There are many girls who have potential but when they are competing nationally they are not groomed and are not ready to compete internationally. They need at least one year of training and grooming to achieve the level that is needed. This challenge is what I am currently trying to address and overcome. More of my plans will be forthcoming soon. Sporah: Are you happy for women to be judged on their bodies rather than their minds? MS: As I pointed out before beauty pageants are no longer about bodies but it is mostly about the mind. It is about having the wits and the personality that is real not rehearsed. The Q & A is not about giving a pageant patty answer but showing your humor and charm. Beauty pageants have undergone serious changes in order to stay relevant. Sporah: Everyone has a mission in life, What do you think your mission is? MS: I don’t think I have only one mission in life that would be a very narrow perspective, but overall I believe that whatever I have received from God is for me to use it well and to always, always, give back in whatever form I can. 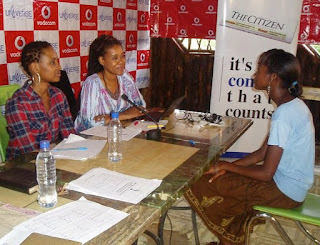 I primarily believe that women in Tanzania need a lot of encouragement and support, and I believe in playing my part by changing the mindset of young girls and making them believe that they can make a difference. 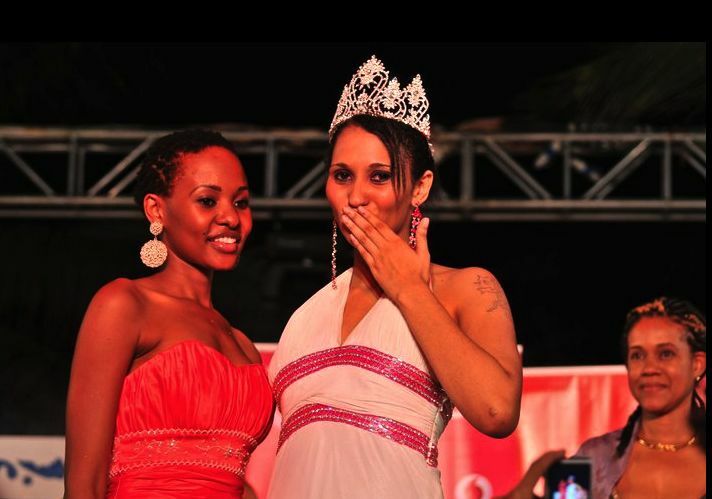 Sporah: Some people are unhappy with Miss Universe TANZANIA 2011? 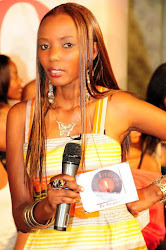 Some people think that Nelly Kamwelu did not deserve the crown for Miss Universe TANZANIA 2011, break it down for me! MS: I am confident that the panel of judges was very serious about their choice and unbiased, and chose the best girl to win the crown. It is an insult to the intelligence of the judges to say that they would sit and allow results that were not in their favor to be announced. They were shown the results including the tabulation of the scores before the results were announced, because our pageant does that in order to avoid such problems. Each judge is given time to scrutinize the tabulation and make any remarks. However the final count has to be respected by all. This is how our competition goes. But I would like to discuss the word ‘deserve’ Let me remind you that when Flaviana Matata won, I heard back remarks that she was the wrong choice because nobody sends a girl without hair to beauty pageants, some on blogs and in the streets even dared to call her ugly, ‘mshamba’ because she answered her question at the national pageant in Kiswahili and they called her other horrible names (She placed 6th internationally). When we crowned Richa Adhia as Miss Earth Tanzania, there were comments that she would not represent well Tanzania because she was of Indian origin (she was top 16 in swimwear). When we selected Miriam Odemba to represent us at Miss Earth, I heard people say that I made a mistake because Miriam was too old and had too much ‘scandals’in her past (she was 1st runner up). 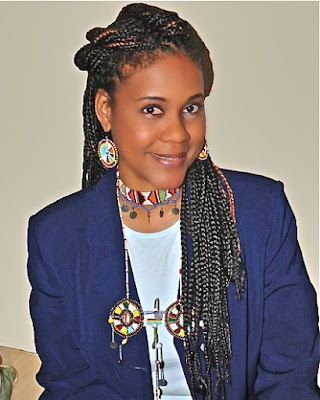 When Hellen Dausen won, some said that she was too short there were even rumors that she is Kenyan (she was featured in Profiles Magazine and was one of the most photographed Africans). My response is simple – look at the achievements of these beautiful young girls! Why make beautiful young women’s lives miserable with horrible comments and criticism when the people talking are not aware of the judging system and the standards, and have no idea who these girls really are? Personal preference is one thing and professional assessment is another thing. I do not know what the excuse is this time for the naysayers, but what I say is that money, time and most importantly energy of people have been invested in making this beauty pageant a success for 5 years. We take this very seriously and have no reason to do otherwise. The winner in Tanzania is not judged only to be a local beauty pageant winner but the ultimate goal is for that girl to represent us internationally and do well. Sporah: What is your definition of beauty? MS: Beauty is all-encompassing – it is not just about having perfect features, or perfect body measurements, it is about the combination of a beautiful face, body and a beautiful inner self. Now the catch is that inner self. The question often is not who was the most beautiful but who could project her inner self best. Sporah: What are the top secrets of winning Miss Universe? MS: I think it’s important to be beautiful, fun, spontaneous, charming and have a killer catwalk. But most importantly it’s believing in yourself even when faced with tough competition and project yourself well on stage! 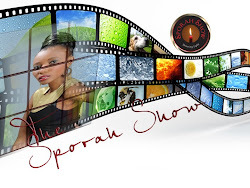 Sporah: What is one question you would ask me if I was one of your contestant ? MS: My favorite question during scouting or preliminary judging is: “What are your dreams and ambitions?” I always appreciate an honest answer and not some ‘pageant patty’ answer.... so, what are your dreams and ambitions Sporah? Sporah: Hahah! Well, I would say my dream is to be the best I can be and to reach my target weight and maintain it! And my ambition is to be the best me that I can be, being happy with everything in life that I pursue and to have many more birthdays. Sporah: What would you say to someone who thought they were not pretty enough to enter Miss Universe? MS: I would say “You are your own worst enemy”. Lack of confidence is rampant among our young women and it is truly sad. Nothing stands in their path to achievement except themselves. We had a beautiful contestant this year – Linda who was 155cm tall and she won the Miss Entrepreneurial Mindset award and won a scholarship to study entrepreneurship. Beauty comes in many sizes and shapes and achievements also come in different ways. 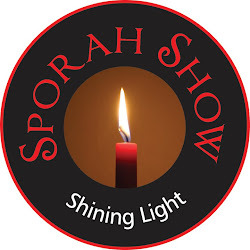 Sporah: What do you feel is the most important part of the competition? MS: The preliminary judging is very, very, important because that is the only time that the judges get to see a side of you that will make a mark and also give insight to your personality. What is needed is honesty and candidness not fake or rehearsed answers. Sporah: What are your strengths? MS: My strength is my ability to listen and encourage people to talk about themselves. I also believe that I have been blessed by God to have very good judgment of character and I always trust my instincts. Sporah: What are your weaknesses? MS: Some people who are close to me sometimes consider it my weakness – my generosity! People say that I am taken advantage of. But I do not believe it’s true because I have never regretted giving. I love the Swahili saying “Tenda wema uende zako”. I do not expect gratitude but I do expect the person to take advantage of whatever I gave him/her and move on from one point to another. Sporah: What makes you very angry? MS: I get very angry about liars and any form of bullying. I really loose my temper at times like this. I value honesty more than anything and I always tell people around me – tell me the bad news I can live with it, but if you lie you loose my trust! Sporah: What have you learned about yourself today? MS: I don’t believe that there is only one lesson that we learn about ourselves. We constantly learn about ourselves. Even when we think we learnt something about someone else or something in our surrounding it is really about us. Sporah: If you had one message to the Tanzanians what would it be? MS: That is tough Sporah, because I have a lot of messages to Tanzanians, but as we are currently talking about Miss Universe Tanzania I would like to tell Tanzanians: that the time has come when beauty pageants should be taken as seriously as football. Not only is Miss Universe just as serious business but also it is one area that aims to empower women in a unique way and allows young girls to be patriotic and hoist our flag high in one of the most watched event in the world! Your support however small like a kind word of encouragement means a lot to our Beauty Ambassador.